Minister says department will lead 4th industrial revolution - SABC News - Breaking news, special reports, world, business, sport coverage of all South African current events. Africa's news leader. The minister says the Fourth Industrial Revolution is in our midst which calls for us to rethink our approach to everything we do. 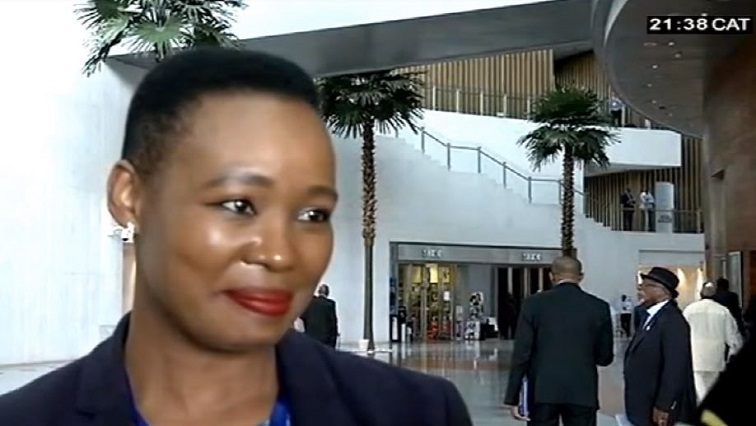 The minister of Communications, Stella Ndabeni-Abrahams, says that the Ministry of Communications has been mandated to spearhead and lead the Fourth Industrial Revolution, working with other stakeholders within and outside government. Minister Ndabeni-Abrahams participated in a meeting of the Portfolio Committee on Telecommunications and Postal Services earlier on Tuesday. This was the first engagement between Ndabeni-Abrahams and the Committee in her current responsibility as Minister. The committee was based on the Electronic Communications Amendment Bill, which was tabled before Parliament in October 2018, followed by public hearings involving various stakeholders including the regulated firms. “Expansion of the Ministry’s mandate and the reconfigured department has implications for policy and legislation as we are now required to think anew; off course building on the advances of the past 25 years of democratic regulation”, says Ndabeni-Abrahams. This entry was posted on 12 Feb 2019,05:04PM at 5:04 PM and is filed under Africa, South Africa, Sci-tech. You can follow any responses to this entry through the RSS 2.0 feed. Both comments and pings are currently closed.